CNN Football Club: Boris Becker answers your questions! Boris Becker will be swapping the tennis court for the CNN FC studio (Getty Images). He is the youngest men’s Wimbledon singles champion of all time and a German tennis icon. 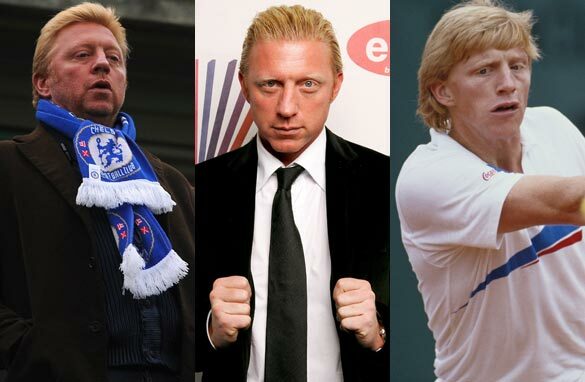 But this week, Boris Becker is switching his attention from the court to the football pitch. The Bayern Munich fanatic was Thursday’s guest on the CNN Football Club. The former world No. 1 was in the studio to discuss the week’s Champions League action, including his beloved Bayern’s last-16 second-leg match against Arsenal. As well as Bayern, Becker has also been spotted in the stands at Stamford Bridge, home of last season's European champions Chelsea. He also answered the questions you sent us, on tennis and football. Would he swap any of his six grand slam titles for the chance to slip on the German national team shirt? Can Bayern live up to their billing and go on to win this season’s Champions League? Which footballer would make the best tennis player? Don’t forget to tune in to the CNN Football Club on CNN International at 1700 GMT on Thursdays. How can Pep Guardiola improve the current Bayern Munich team? How much do you rate him as a manager? Do you think this current team can overcome last years final defeat and clinch the champions league title? Do you think Bayern need to sign a big name like Suarez or Bale in the summer to continue on top and push for the Champions League? Hi Boris! What was your happiest moment in your career and your saddest, if any? What do you think of the current generation of Tennis players as compared to the ones you played against during your era? Hello Mr. Becker. I am your admirer as it comes to tennis. What do you think world ranking of tennis players scheme is also applied to footballers and changes regularly like tennis. on top of that Which game do think is fun to watch from as spectator side? football or tennis? Is there an interface between tennis and football that you fantasize or do you treat the two sports as separate entities? I had the pleasure to not only meet you but to have dinner with you in Hong Kong, although my husband has met you in many other locations. My husband, Paolo Cazzaro and I have always followed your career and we wish you only the best on your new adventure. Are you also a Chelsea fan? First, let me say that I am a great fan of yours, you fighting and ever respectful sportiv spirit, on and off the court. I would like to mention also your perfect serve. You were an amazing "ace machine"
I believe that to this day it is still the best ever seen, even in comparison with Sampras and Ivanicevic. What would be your advice for an amateur tennis player who would like to improve his serve? I was always amazed by your ability to play the "big" critical points and how you could hit the tape at will as it were in these pressure situations. How did you do it? What aspect of your mental make up allowed you to pull this off. I watched you winning your 1st wimbledon live and have been enchanted by your personality since then. I am the same age as you and feel like I know you, though I never met you. What are the most important life lessons you would like to pass on ? Who has been the standout player for Bayern this season? Who is the one Dortmund player would you like to have at Bayern? Is there dopping in tennis? Looking at the top 20 players of ATP tour are there any signs of such? In 1998, to be precise, you said you will go into football coaching lessons so that one day you take the helm at FC Bayern Munich. How far have you gone with the plan? What do you think about, dear Boris?